The white round diamonds are adorned in a classic floral design, exuding feminine charm. Six round diamonds surround each center stone like petals and sparkle splendidly. 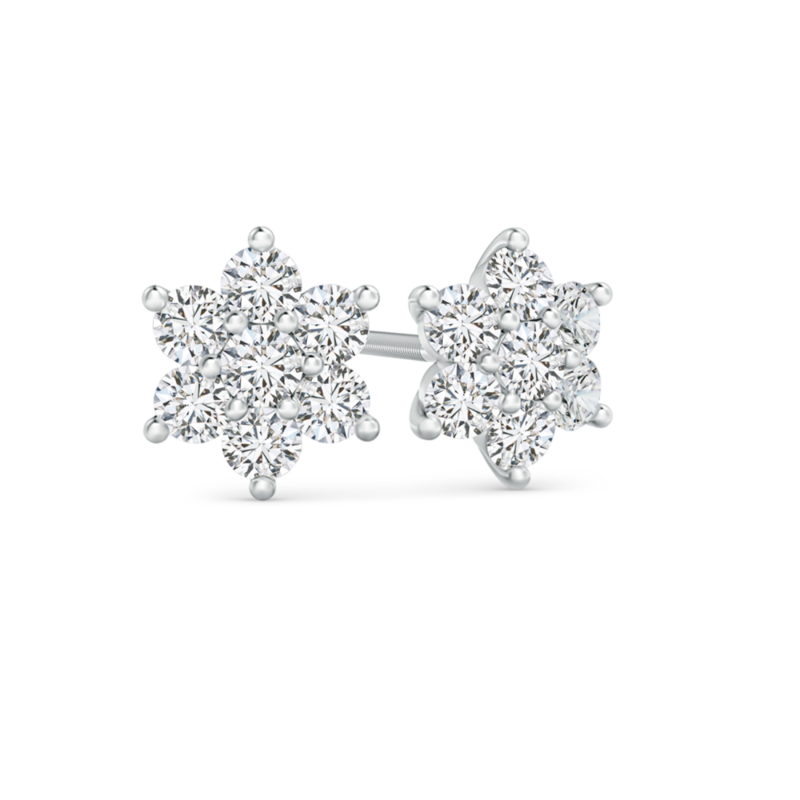 These lab grown diamond flower earrings are crafted in 14k gold.